Thara Patong is located in the northern third stretch of famous Patong Beach. It's only a short stroll to the beach or a leisurely walk to nearby bustling shopping and electric nightlife. There are two free-form swimming and children's pools on-site. 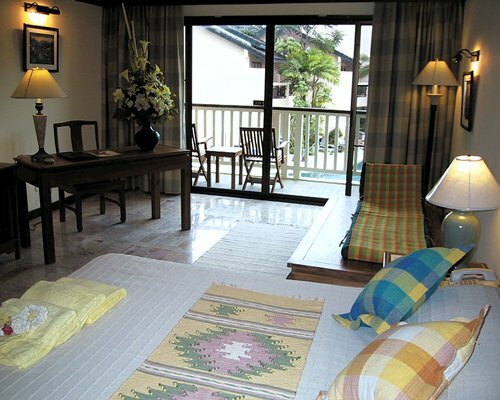 All rooms offer a view of either the swimming pools or the beautiful tropical gardens. Phuket is famous for many different stretches of beaches, secluded bays, emerald blue waters, and picturesque islands in Phang Nga Bay. Activities include parasailing, bungee jumping, elephant trekking, boat trips, and much more. Good, inexpensive seafood is also enticing.